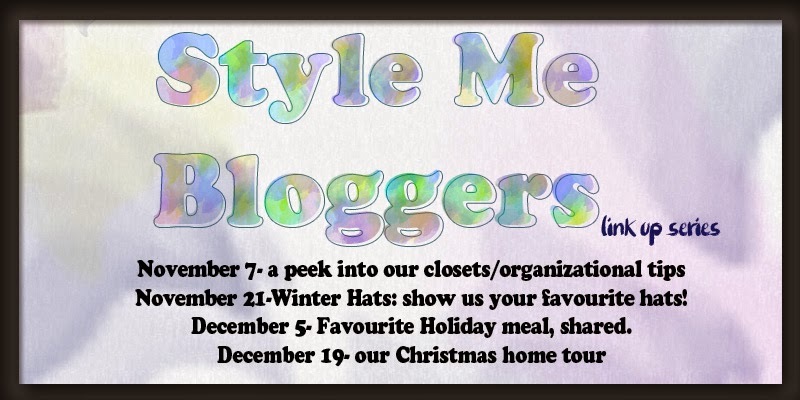 For this week the Style Me Blogger’s post is supposed to be about our favorite winter hats. Uh oh. I only have one really. And it isn’t a fashionable hat. 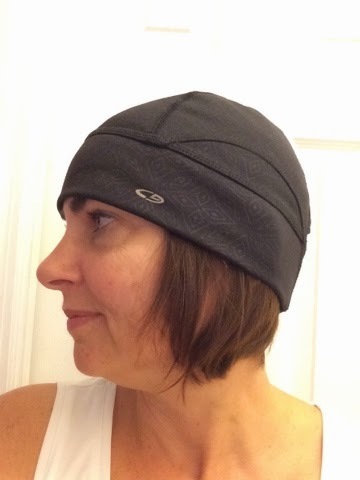 It’s a totally practical kind of hat: a cold-weather running hat (as opposed to my warm weather running hat which is a baseball cap). When I’m running is about the only time I need to wear a hat in the winter in Florida, because I’m usually running during the coldest part of the day: right after the dawn. I look dorky in hats! 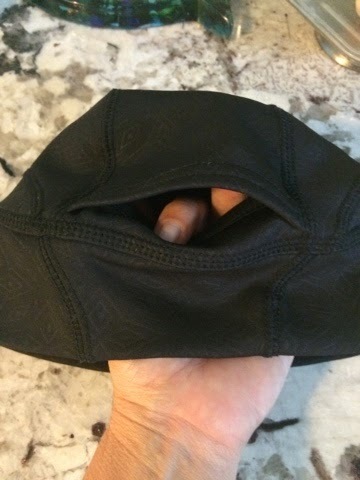 What I like about this particular hat is that it has a ponytail hole in the back so that your ponytail can stick out when you pull it down over your ears. I usually wear my hair short and don’t need this hole, but when I first bought the hat my hair was long enough to wear in a ponytail. And my hair has grown quite a bit in the last three months so that it can almost fit in a ponytail. Therefore I will get to use the hole again very soon now that it has turned cold! Since I live in Florida, I don’t wear winter hats during the day. I do have a hood on my parka that I can pull on if needed but I find that a hat 1) doesn’t look good on me and 2) messes up my hair. I’m sure my styling sisters to the north have more to say on the subject. Check them out in the links below! The ponytail hole is the coolest thing!!! I have to get one of those! I got mine at Target a couple of years ago. It sure does! 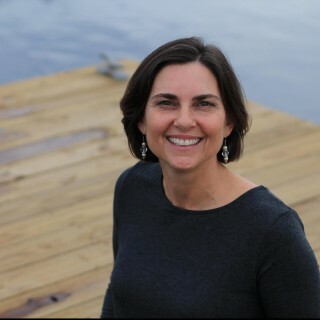 I look forward to reading yours! While I don’t live in Florida, I don’t have a lot of use for hats in El Paso, Texas either. Your pony-tail running hat is darling! I don’t have a pony tail either (not enough hair…WAAA!) but I would wear that hat with or without a pony tail. Thanks for sharing. Yes, I do wear it even when my hair is too short for a ponytail. And it doesn’t get much use most of the year, but when we DO get cold snaps, it’s indispensable! 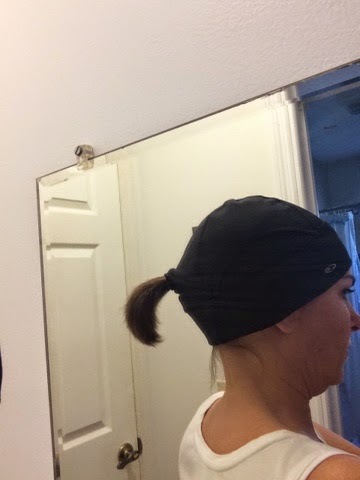 I really like your running hat, and the ponytail hole is genius! Thanks Lana! And thanks for stopping by! Ugh….I would love to go outside right now for a run without freezing. Lucky! And that’s a great running hat! Thanks Deena! I do appreciate being able to run outdoors! It was 29 here on Wed morning so my running partner and I decided to run on the treadmill. But we don’t have to do that ALL winter long! So thankful for that! Thanks for stopping by! Totally LOVE the ponytail hole!! I need that….so cute!!! Nothing wrong with a practical hat! I know I have plenty of those. What a great idea to have a ponytail hole in a hat. I didn’t know that existed but I would love one for when I work out. Thanks for the tip!